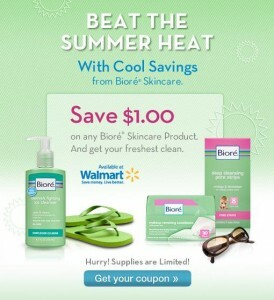 Click here to visit the Biore facebook and like them. Then on the “Special Offers” tab, click “Get Your Coupon.” Enter your info and on the next page you’ll be able to print your coupon. If you rather they mail it, just click “help” on the bottom right.